Speaking to Esther Fieldgrass, it is clear to see that this is a woman who doesn’t rest on her laurels. 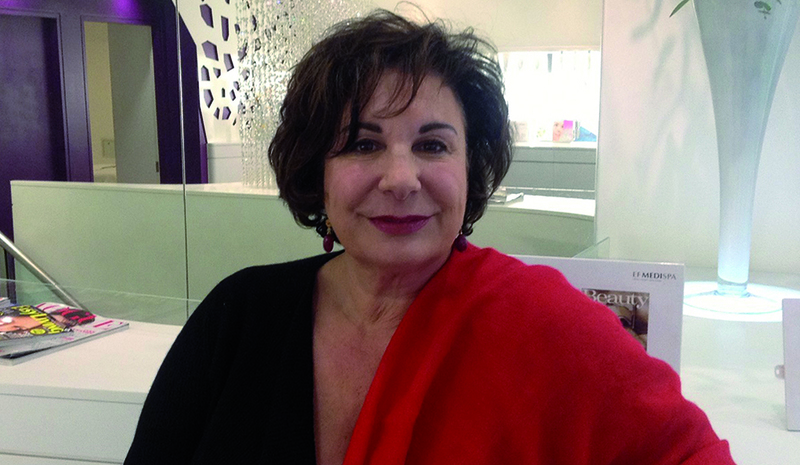 Having trained originally as a hairdresser, opened her first salon at the ripe age of 20 years old, travelled and worked from the UK to Europe and Hong Kong, and back again, and trained in aesthetic and anti-ageing medicine, she is now the well-known founder and managing director of one of the most successful MediSpa range of clinics in the UK — EF MediSpa (as well as a lingerie boutique). 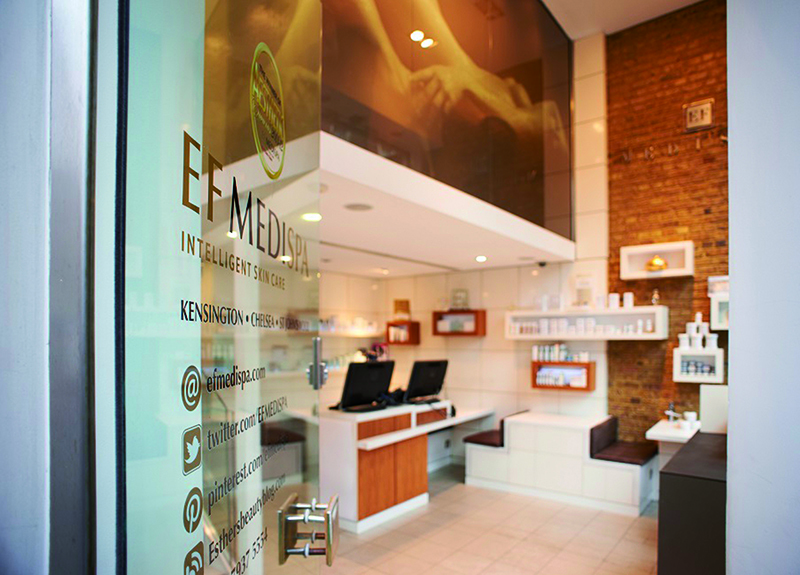 EF MediSpa clinics — of which there are three in central London with plans for expansion beyond — offer a comprehensive range of aesthetic and surgical treatments, which were set up in 2007 and have gone from strength to strength ever since; a far cry from Esther’s humble beginnings as a hair and beauty professional. ‘Since our return from Hong Kong in the mid-1990s, it was my decision to have machines, such as laser and light-based devices,’ Esther explains. Having started working from home, Esther moved into her first clinic on Church Street, Kensington, which is registered as a day hospital for acute surgery, and the business grew from there. From the off, it was important to Esther to have top-of-the-range technology and machinery for her business. 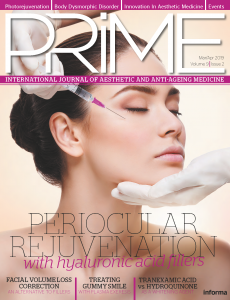 Working with one’s hands is a very intimate process, while the use of a laser or light-based device is very different and requires an entirely unique approach for treatment. ‘My thinking was that if I’ve got really good machinery then all my medial staff should be of a high standard,’ she says. Therefore, Esther stresses the need of the best education for all her staff — at least 3 months’ worth for a new member of staff before they are even allowed to treat a patient. In fact, Esther is so unique and innovative in the way in which she goes about her business, that she offers exclusive treatments to her clients. One such example is of Biologique Recherche (BR), an holistic approach to the skin founded over 30 years ago by biologist Yvan and his physiotherapist wife Josette Allouche, and continued by their son Dr Phillip Allouche. BR treatments are all bespoke to the individual patient, focusing on their skin’s needs at that given time, combining a cosmetic assessment of the epidermis, and initially using the hands to lift the skin, giving an immediately aesthetic impact. It is not just the advancements in technology that influenced Esther’s business during her time in Hong Kong, but alternative and holistic medicine, which she partners with many of the aesthetic treatments offered in her clinic — and supports the EF MediSpa philosophy, ‘inner wellbeing for outer beauty’. For example, a patient might come for an aesthetically-focused treatment, but will have colonic hydrotherapy and a consultation with a nutritionist recommend too. So it isn’t just education for her staff that she feels is important, but for her patients too. 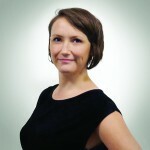 As already stressed, Esther certainly sees the value in the education of her staff and hopes that the impending CEN standards will upgrade the core knowledge of aesthetic practitioners across the continent, as well as standardising who can perform which treatments, and what qualifications those people should have. ‘I can’t believe there are people out there who are not doctors or nurses, but who are administering dermal filler or botulinum toxin injections,’ she says. ‘It frightens me. It’s a lot of training to know how to use these products properly, but a lay person does not understand the repercussions if they do something wrong. She explains that she has, over her 30-year career, developed a huge handbook on how to run the business; everything from HR to finance, staffing, how to work machinery, how to manage the business, what legal frameworks to be aware of, insurance, qualifications, marketing, PR… The list is seemingly endless. In business today, people who you can rely on are often few and far between, which is perhaps one reason why Esther is so protective of her staff, as well as having trained them to perfection.